Just 1.6km outside the picturesque town of Clifden, Connemara. ie. 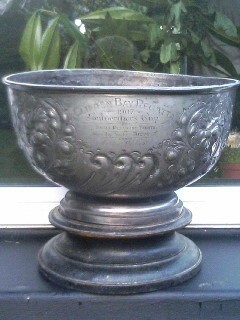 The cup pictured left says "Clifden Bay Regatta 1907". 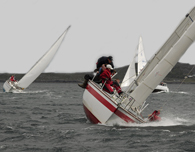 some great yacht racing and sail training over the years. WIORA West Coast Championships for the first time ... and again in 2008 and 2011.
a brand new rib with engine and trailer in the National RIB Challenge 2010.
exciting and, hopefully, rewarding boating season in 2019.
and our calendar of events for the coming year. are also on Facebook check the above links. Please feel free to contact any of the current committee for any further information.